A Green Day tribute is among more than 2.4 million names featured on NASA’s InSight Mars Lander, which arrived on the red planet on November 26. The San Francisco Chronicle reports a microchip on the NASA vehicle bears the East Bay punk band’s name and date of origin. Acording to NASA, their Jet Propulsion Laboratory in Pasadena, CA invited members of the public to send their names to Mars; the offer proved so popular that more than 2.4 million names were etched onto two microchips carried to Mars. In addition to Green Day, others included in the microchip series were names of children in elementary school classes, NASA's Associate Administrator Thomas Zurbuchen, and Star Trek actor William Shatner. InSight will be the first mission to look deep beneath the Martian surface, studying the planet's interior by listening for marsquakes; these quakes travel through geologic material at different speeds and give scientists a glimpse of the composition and structure of the planet's inside. The insights into how Mars formed will help science better understand how other rocky planets are created. The two-year mission for the NASA InSight Mars Lander – which landed on Mars after a "perilous journey" on Monday – marks the first landing there in six years, after the Curiosity Rover arrived on the planet in 2012. 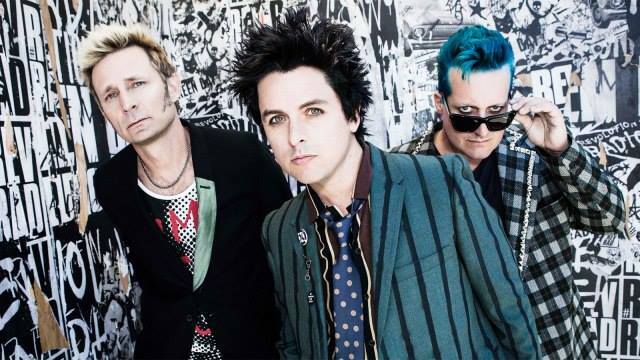 Green Day’s 2017 documentary, “Turn It Around: The Story Of East Bay Punk”, was recently made available via iTunes following the film and its companion soundtrack’s release in June.